As I laid in the hospital bed, 35 weeks pregnant, each contraction reminded me how hard this pregnancy had been: doctor visits and testing 3 times a week, weekly hormone shots, a short hospital stay, and what felt like hundreds of visits to the hospital for preterm labor. This was it though. Charlie was entering the world whether we were ready or not. I voiced my many concerns with the doctor about having a preterm delivery. 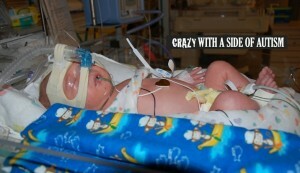 My first son was born at 35 weeks also and spent 2 weeks in the NICU. I did not want to go through that heartache again, but my fears were muffled by my doctor’s assurance that “most babies” don’t stay in the NICU at this gestational age. My first son’s NICU stay at 35 weeks was “not the norm”. Unfortunately, my doctor was wrong, and the heartache of any NICU stay pails in comparison to what came next. 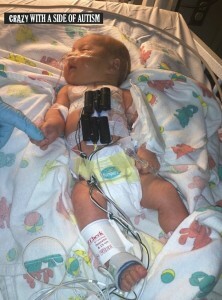 Charlie was rushed to the NICU just hours after being born. This happy moment in life was once again overshadowed with sadness and fear. We were forced to leave our brand new baby at the hospital. Driving home empty handed with an empty belly was so painful, just as hard as the first time. This time, at least, there were 2 little joys waiting to greet us at home. I wiped away my tears and smiled a fake grin as we pulled up to the house. Sad and overwhelmed, we wrapped our arms around our 2 sons, ages 3 and 18 months. Then instantly the pungent odor of skunk smacked us in the face. Our dog was sprayed the night before and had roamed through our home, spreading the odor from room to room. To top this off, as I began to wash some clothes in preparation for Charlie’s NICU release home, our washer stopped working. Here I was: no baby, a smelly house and dog, and a broken washer. I felt desperate, sad, and frustrated. Little did I know, life was about to get much worse. 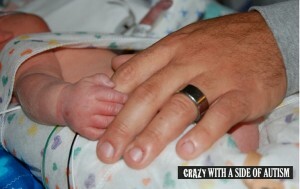 Weeks passed as I visited Charlie every day in the NICU. The day finally came for his release. We were overjoyed to have our entire family home! We introduced Charlie to his brothers, snapped tons of pictures, and rested in the sweet space of home. The next day, my husband and I noticed that Charlie was struggling to breath again. We rushed him to the ER. 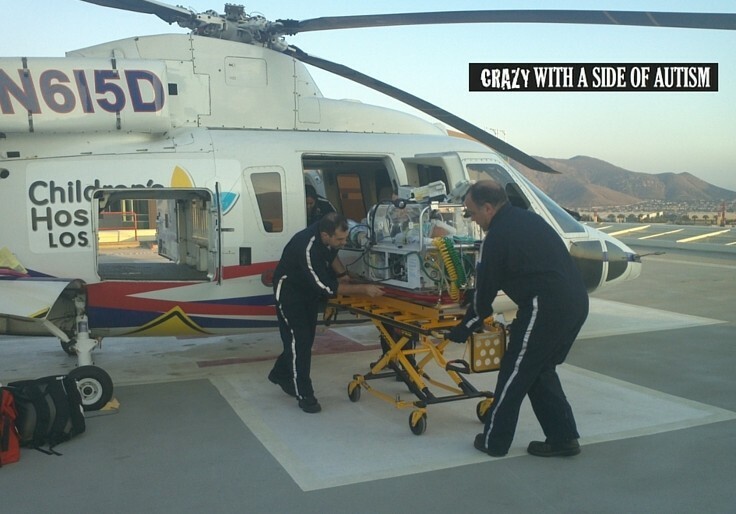 He was then transported to another hospital where the 3 of us stayed over night. The doctor discharged him the next day, stating that nothing was wrong. She suggested that I might “just be paranoid” since he was in the NICU previously. We assured her that we heard him grunting and struggling for air. There was nothing more she could do, so we were sent home. As we arrived home with Charlie, we were met with sick kids. The 2 older boys suddenly had fevers, runny noses, and my 3 year-old had a rash on his feet. 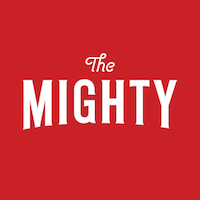 Within 15 minutes of walking in the door from a long night at the hospital with Charlie, I took my 3 year-old to urgent care. The doctor confirmed that he had hand, foot, and mouth disease and gave me clear instructions to keep the baby out of the house. I thought this was the end of me. I couldn’t even stay in my own home with my new baby after this already long ordeal! I packed up and headed to my parents’ house, who live just 2 streets over. I was close to home but not close enough. The next morning, my parents left for the store. I was admiring Charlie’s beautiful face as I noticed his entire body turn grey. Was I paranoid, or was this really happening? The doctor in the ER placed so much doubt in my mind from the visit before; I didn’t know what to believe. I lifted his shirt to see his chest remain still. He wasn’t breathing! Then suddenly, he took a breath. After a few of these episodes, I ran to the phone to call my mom, who thankfully walked in the door at that exact moment. She agreed that he didn’t look right and called 9-1-1 right away. A barrage of fire fighters and ambulance techs arrived minutes later. After 20 minutes of testing and a myriad of questions, they all assured me that Charlie was fine. They insinuated that I might just be nervous as a new mom which I assured them I wasn’t. They told me that they could take him to the ER if it would “ease my mind”. I called my husband who also questioned me. Everyone told me that he was fine. I felt silly, but I knew something was not right. My mom confirmed my suspicions as she saw his discolored body too, so my mom and I took him to the ER, anticipating another overnight stay just to be released. When we arrived, we were assigned to the same doctor who released Charlie just days before. She said that she would keep him overnight, but nothing was wrong. After hours of waiting in the ER with no visible issues, I felt like a fool. Should I have stayed home? Was I just making this up in my head? Then it happened. My son’s body fell lifeless in my arms. His breathes non-existent, his skin grey in color. I screamed for help. Once the doctors rushed in, I was shoved out of the room as it quickly filled with 15-20 people who came to his aide. As I prayed loudly through the tears, they escorted me further down the hall. The entire floor of the ER was on lock down. Lights flashed and codes blared through the PA over and over again. It was like a dream…a nightmare, but I was awake. Suddenly, after what felt like an eternity, Charlie began to breath again. Frantically, I called my husband, who rushed to the ER along with my dad and brother. In the next hour, Charlie coded several more times. Each time just as scary as the last. Doctor after doctor inspected Charlie, but no one had any answers as to why they could not stabilize my sweet beautiful boy. Finally, we were escorted to a medevac at a nearby field to be airlifted to a Pediatric ICU over 2 hours away from home. It took over a day to stabilize Charlie. We sat on pins and needles, not able to touch our sweet, tiny baby, anxious with NO answers. Charlie endured more tests than I have in my entire lifetime: ultrasounds, blood work, EEG, EKG, several unsuccessful spinal taps, the list goes on. They even contemplated an MRI but mentioned the risk of him never waking up, as his newborn brain was very vulnerable. For obvious reasons, we declined the MRI. Even after all these tests, not one of the dozens of specialists had answers…only theories and suspicions. The on call neurologist suggested that maybe these were neo-natal seizures. All of these specialists roamed in and out of Charlie’s room day after day; with all their years of experience and all the testing, they still had no idea what was wrong with my son. With no answers, they pumped his tiny 2-week old body full of antibiotics just in case it was any one of the disorders, viruses, or diseases on their possible list. After 3 days in the PICU, Charlie was transported via ambulance to the local children’s hospital where we stayed for 2 weeks. We were discharged with no answers, no explanations, just anti-seizure medicine and an extensive list of follow-up visits. For the first 10 months of Charlie’s life, he was on anti-seizure medicine as a precaution and monitored by a neurologist through visits and EEG’s, even though all of the testing showed no seizure activity. He has been off all medicines since then, but 3 ½ years later, we are still left with no answers. I can’t help but wonder if this ties into his Autism diagnosis, but the doctors continue to assure me that it doesn’t. I am left wondering if I should believe these doctors who can’t even tell me what happened in the first place, and does it even matter? He has the diagnosis now. We can’t go back in time and avoid it, but these questions will always lurk in the back of my mind.